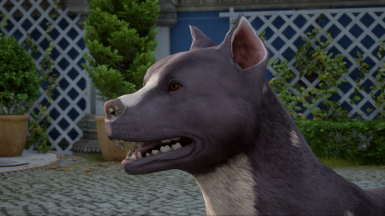 Small tweaks to the mabari mesh and textures so those poor dogs' eyes don't look so creepy (plus a couple of extra texture tweaks). .daimod version only. bigger pupils, slightly darker irises and a slight shadow effect under the upper eyelid. 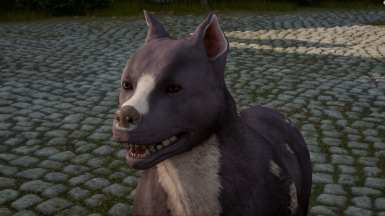 I also darkened the area around the eyes a bit. 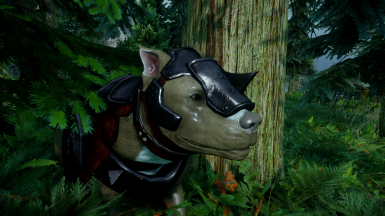 Those changes will affect all dogs, both armoured and unarmoured. 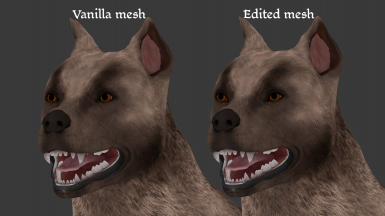 an edited mesh. 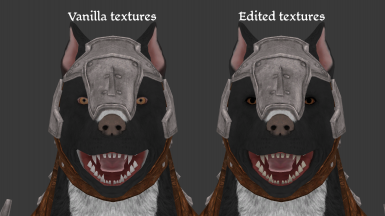 Messing around with the textures just didn't feel like enough, so I tweaked the eye shape a little bit. 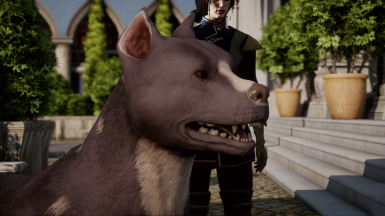 I can't import the armoured mesh back into the Mod Maker (which is actually a good thing because it's harder to work with), so the changes will only affect unarmoured dogs. The eyes are still not animated and this is far from perfect, but at least they don't look as scary as they used to (IMHO). 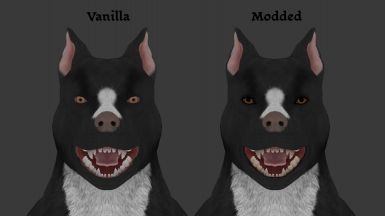 changed the teeth colour to a more ivory shade because the greyish white was bugging me. 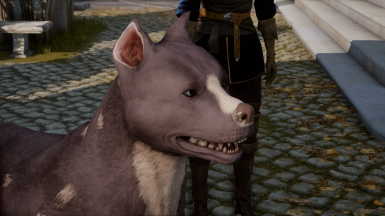 I also made a version of the standard dog with different-coloured eyes out of curiosity and uploaded it here under Misc. 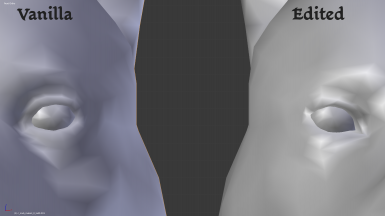 I won't be using it myself but who knows, someone might like it :p.
Meshes must be set to Ultra. 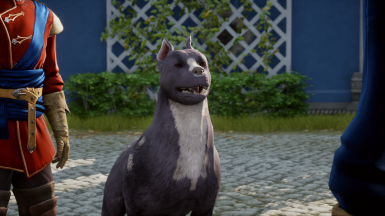 Main version (main and optional files): download the file(s) you want, open the .zip file(s), drop the .daimod file(s) into your mod directory, and install with the DAI Mod Manager. More detailed instructions can be found here. 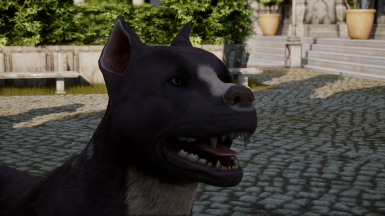 Heterochromia version: you don't need to download any of the other files if you use it (they'd conflict anyway). Same as above, open the .zip file, drop the .daimod file into your mod directory and install with the DAI Mod Manager. 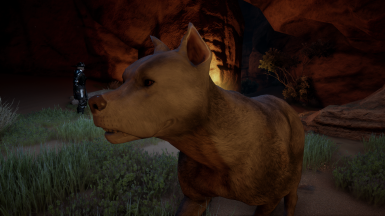 To uninstall, delete the unwanted .daimod file(s) from your mod directory, and merge with the DAI Mod Manager. 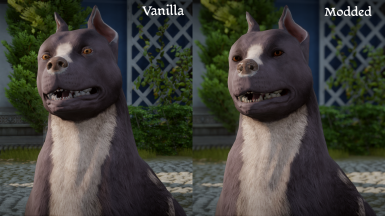 The full version (main files) isn't compatible with any mod that affects the mabari mesh and/or textures, such as the aforementioned Improved mabari texture and recolors﻿ by Deszczowyjka. 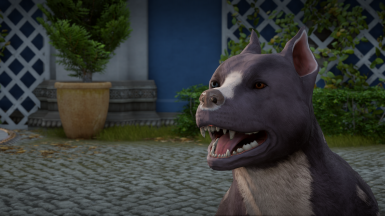 The mesh edit (optional files) isn't compatible with any mod that alters the unarmoured mabari mesh (haven't seen one yet though). 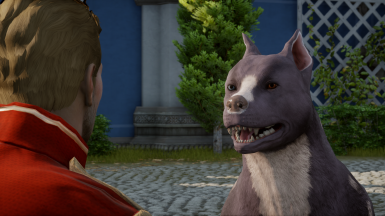 It should, however, be compatible with any texture edit. 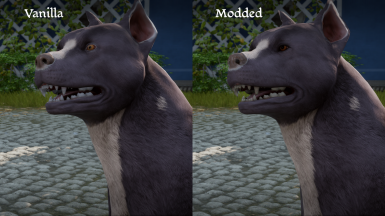 I uploaded a comparison pic with one of Deszczowyjka's (much nicer) retextures so you can get a rough idea of how the two mods interact. 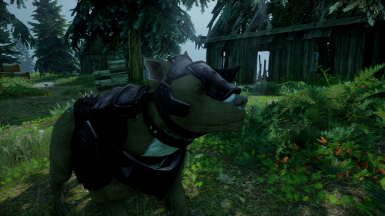 The armoured dog textures (optional files) aren't compatible with any mod that alters the armoured mabari textures. It should, however, be compatible with Deszczowyjka's mod, as it only seems to affect standard dogs. 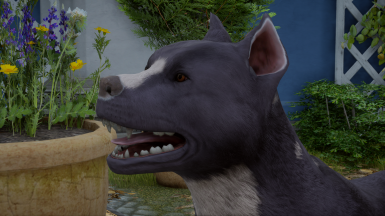 The Heterochromia version isn't compatible with any mesh edit or retexture. 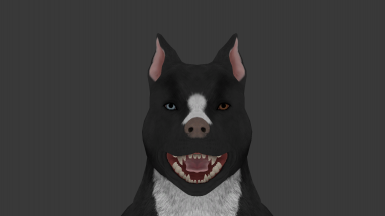 I haven't bumped into hostile dogs yet, so... here's to hoping my edited mesh plays nice with their animations ﻿. Made using GIMP, Blender, Notepad++ and the DAI Mod Maker.